Bay Area Coalition for Headwaters Alert: Richardson Grove Redwoods Need Your Help! As we told you in a previous alert, Caltrans recently posted new documents in response to the April 2012 court order issued when EPIC and the Center for Biological Diversity prevailed in federal court and halted the Richardson Grove highway “realignment” project that we and our allies had been opposing, with their lawsuit in April 2012. The Federal Judge ruled that Caltrans had “arbitrarily and capriciously tried to justify the project with false data.” (their measurements of the trees and their mapping. )See our fact sheet on the Richardson Grove highway project at http://headwaterspreserve.org/2011/09/big-trucks-or-big-trees-what-do-you-wantCaltrans has defied the court order resulting from the ruling and come back with an inadequate response, and an announcement that they plan to proceed with highway construction in mid-2014. Those documents are now in public comment period, but only until Oct. 21. 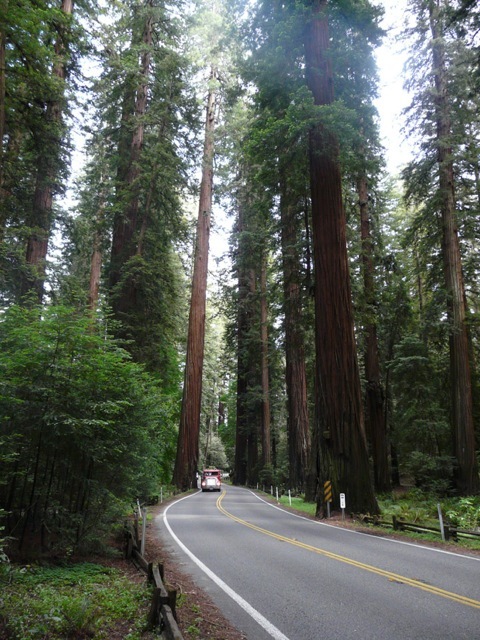 It is important that Caltrans hear comments from those who want to see the ancient redwoods in Richardson Grove State Park preserved without the carving up of their root systems! You can submit comments on the Supplemental Environmental Assessment through the link below. We thank you. The trees thank you.